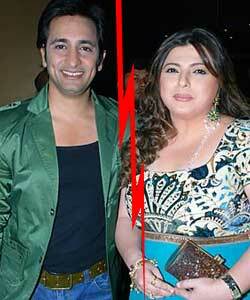 After being married for 14 long years, Rajeev and Delnaaz Paul separated in 2010. What makes the couple divorce its a big question. The couple is together again in Big Boss season 6. After their entry in Big Boss the question has started again – why the couple divorced !In July 2012, Delnaaz broke her silence in an interview. She indicated that an extra marital affair was the reason behind the divorce. While, Rajiv denied the allegations. He said that as his career was not going good and it was one of the biggest reason. Rajiv also said that they wanted a baby, but they could not be blessed.